Hello everyone and welcome to a special holiday edition of Color Play Friday!!! 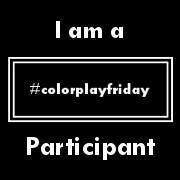 Before I get started, let me tell you a bit about Color Play Friday (CPF). CPF is a fun weekly challenge hosted by Trina from In an Otter Life and Lorinda from Laurel, Poppy and Pine. Each week they provide one of their photographs as inspiration and then all the participants create a color palette and fabric bundle based on the photo. 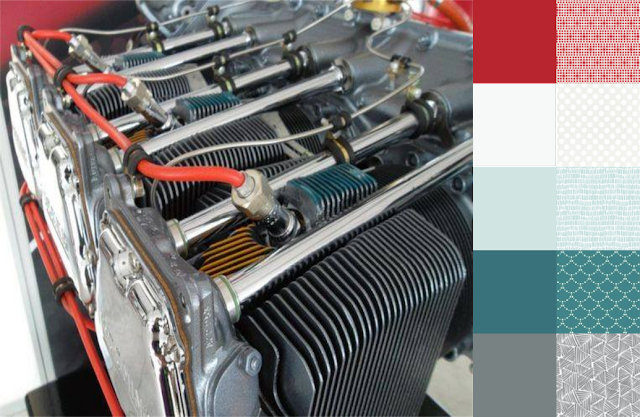 This week's photo is called Lycoming Engine. 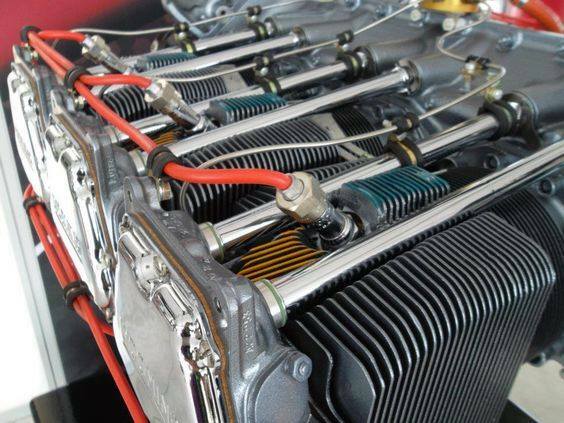 I'll admit, I didn't know what a Lycoming Engine was. Google to the rescue. It's an airplane engine! Who knew?! Apparently, the founder of Lycoming also manufactured sewing machines. There's a fun fact for you! Here is what I came up with this week. I thought a modern red, white, and blue palette would be appropriate this week. Here in the U.S. it's almost time for the Fourth of July!!! It's one of my favorite holidays. I love the smell of the fireworks, grilling out, and, of course, the cakes decorated with berries to look like an American flag. Come on, you know you've had cake like that before! Can you tell I love blender fabrics? Lol. This week I "shopped" at Hawthorne Threads. Ripples in Sea by Bari J. As always, if you are interested in playing along, please check out the hosts' pages for more info. You can click either of the CPF buttons on my sidebar. See my past CPF entries by clicking the Color Play Friday tab at the top of my blog. What a cool photo to use for color inspiration! Good job finding such perfect fabrics, too.